Recognizing recent rumors of a Sept. 10 iPhone announcement, Munster took the chance to update investors on his Apple product pipeline predictions for the rest of the year and into 2014. The analyst's expectations for the next-generation iPhone, dubbed by many as the "iPhone 5S," are very much in line with rumors and reports coming from a multitude of sources. Aside from incorporating a fingerprint sensor into the home button, which Munster believes will be limited to user authentication, the 5S will feature the usual "S-series" component upgrades. These include increased processor performance, extended battery life, more memory, and other spec bumps. While his iPhone 5S outlook is in line with mainstream rumblings, Munster's thoughts on the rumored less-expensive "iPhone 5C" are a bit unconventional. 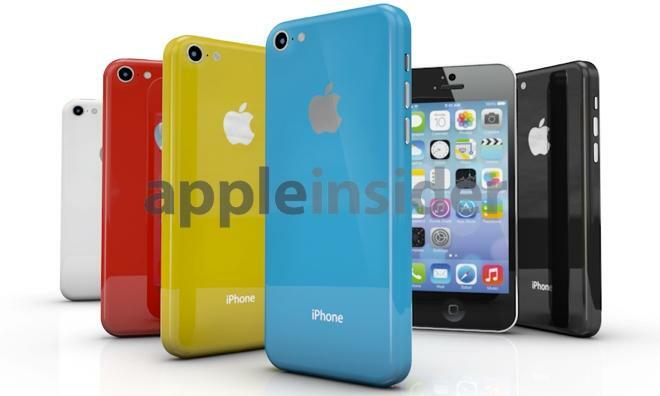 Like others, he predicts the 5C will have a plastic casing, 4-inch display and slightly lower end internal components than the iPhone 5S. However, the analyst believes Apple will exclude software features when the handset launches, specifically the Siri voice recognizing virtual assistant. Curiously, Munster cites the lack of Siri on the iPhone 3GS or iPhone 4 in his iPhone 5C prediction, but fails to mention the service was never part of iOS until Apple incorporated the feature in the iPhone 4S. Apple purchased Siri, which was formerly an iOS app, in April 2010, ultimately baking the technology into iOS 5 over a year later. Siri was never officially activated on the iPhone 4 or earlier models, though a jailbreak proved the service could run on older hardware. It is thought that special noise cancellation tech implemented in certain A5 processors, used in the iPhone 4S, iPad mini and fifth-generation iPod touch, is needed for Siri to work optimally. Even with the latest iOS 6, Siri is still absent in the iPhone 4 and below. As for Apple's low-end handset offerings, Munster believes "it may make sense" for the company to discontinue the iPhone 4S product line instead of carrying the model over as a free-on-contract device. This would bring parity to the lineup, the analyst says, with the iPhone 5S, current iPhone 5 and iPhone 5C all sporting similar designs and screen sizes. In this configuration, Munster sees the iPhone 5C as selling for an estimated $300. Despite its relatively low price and predicted positioning at the bottom of Apple's lineup, the analyst pegs cannibalization at only 25 percent, down from a previous estimate of 50 percent. He cites "leaked videos" showing the handset's plastic shell as a cause for the drop in cannibalization. Finally, Munster agrees with the September iPhone event rumor, and sees October as a likely launch timeframe for both a new iPad and iPad mini. Further out, he predicts Apple to debut a new TV product before the end of 2013, while a larger-screened iPhone and so-called "iWatch" should hit store shelves by mid-2014.